This is the first edition of a large soundwork that I intend to build on the river Alvoco. This river, a distance of 37km, is born in Serra da Estrela (the highest point in Portugal) and flows into Ponte das 3 Entradas (a bridge with 3 entries), where it joins river Alva, following thence to the mouth, the river Mondego (Coimbra ). The first part of this project, presented here, gives special attention to water in its various dynamic sounds. Drawing on field recording, I visited various parts of the river course and registered their environments. What is reflected here is only a certain sonic identity that this river behaves. Many more exist and are sound reasons for further work. This is a rural area, also characterized by having different flow along its route, which further strengthens the existence of various types of sound. It is this diversity that I tried to capture in this first volume. The river Alvoco acts as a postcard from the whole area, but the professions that it is exercised (millers, kingfisher ...) is long gone, leaving now only the leasure of fishing and the fun of bathing in hot summer months. Water, that is eternal and, to paraphrase Murray Schafer, "never dies." O Rio is the first instalment of a much larger sound work currently occupying the ears of Portuguese field recordist Luís Antero. His plan is to document the sounds of the river Alvoco, a 37km stretch of water that begins its journey in the Serra da Estrela and ends when it becomes one with the river Alva. The first volume in the series focuses on water in its many different sonic guises and is a wonderful introduction to the project. A notable aspect of Antero’s work is that he doesn’t feel compelled to record in far-flung locations. His passion lies with the sounds that surround him on a daily basis; the sounds that say “home”. This allows for a deeper, less transient connection with the location and must in consequence influence the choices made by the recordist. When creating this piece, I wonder if Antero selected recordings based solely on how the sounds worked alongside each other or whether other elements, such as memory or familiarity, influenced his decisions. Creating a sound piece is a complex affair however, so most likely it was a mixture of both. Many different textures and patterns emerge over the course of this composition. Some sections are standard depictions of a flowing river, while others leave the listener wondering just how those sounds were produced. 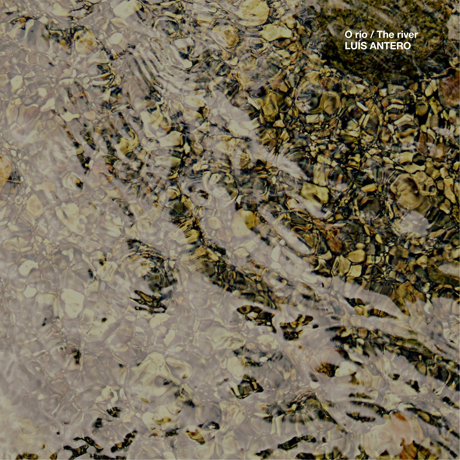 Antero has taken the time to investigate the different currents, depths and substrates that influence the sonic identity of the river and this attention to detail is clearly reflected in the work. There is more to O Rio than just the sounds of water though. Bells, voices, music and singing occasionally emerge over the course of the piece, temporarily taking the listener away from the river and bringing forward other elements that relate in some way to the Alvoco. It will be interesting to see what direction Antero takes the second chapter of this sound work and how the overall pieces come together to form an acoustic overview of this region of Portugal. I’m certainly looking forward to hearing more.